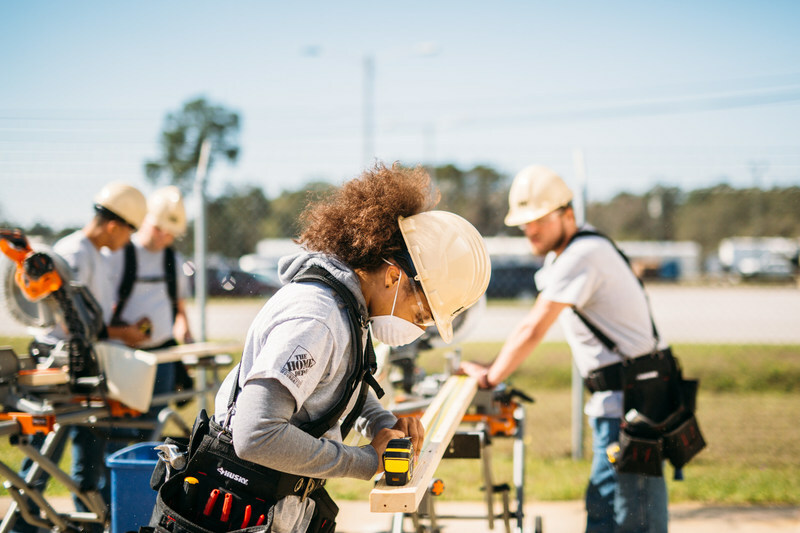 ATLANTA - The Home Depot Foundation is pledging $50 million to train 20,000 separating military members and veterans as carpenters and other tradespeople over the next 10 years in order to fill the growing skilled labor gap. 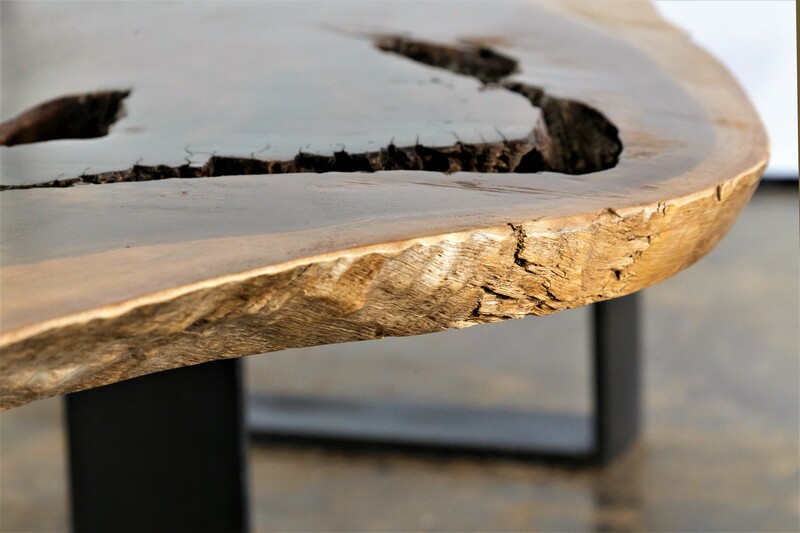 Also targeted in the program's first phases are at-risk youth and members of the Atlanta Westside community, in an effort to reduce the number of unfilled construction sector jobs in the United States. Currently there are 158,000 unfilled construction sector jobs, according to data from the U.S. Bureau of Labor Statistics, and that number is expected to increase significantly as tradespeople retire over the next decade. The ratio of construction job openings to hirings, as measured by the Department of Labor, is at its highest level since 2007. 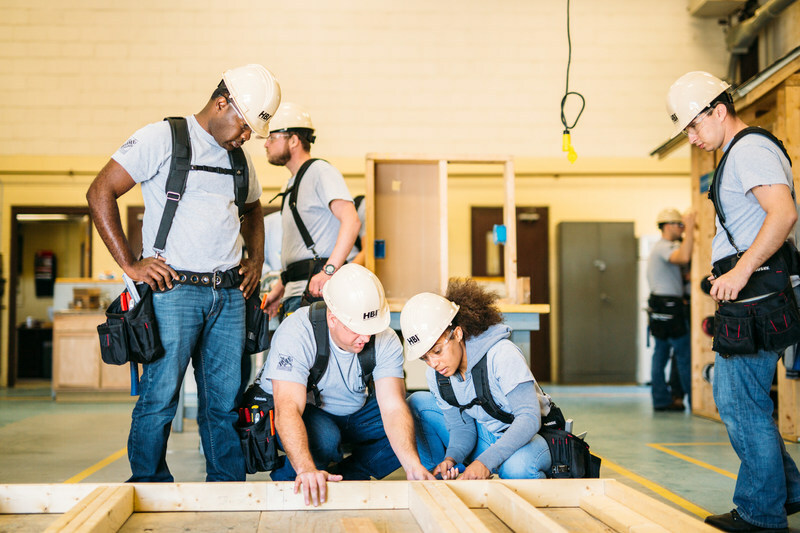 The Home Depot Foundation (HDF) launched its training program for separating military members last year in partnership with Home Builders Institute (HBI), a national nonprofit that provides training, curriculum development and job placement services for the building industry. 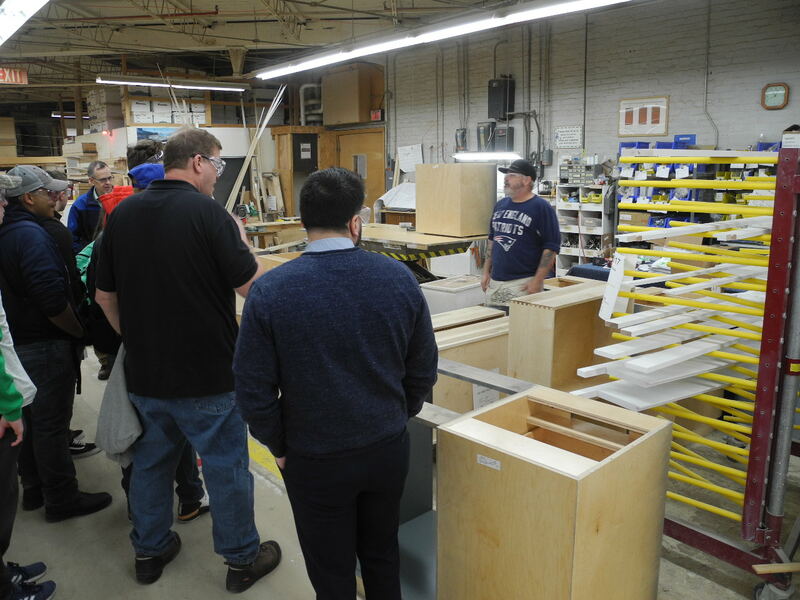 According to information from HDF, the 12-week pre-apprenticeship certification program, provided at no cost to students, uses an industry-based curriculum recognized by the Department of Labor that integrates work-based learning with technical and academic skills. The program was launched at at Ft. Stewart and Ft. Bragg, and will roll out on additional bases across the United States, HDF said. The first set of students will graduate this month. HDF also is establishing an advanced level trades training program in partnership with the Construction Education Foundation of Georgia (CEFGA) for residents of Atlanta’s Westside community. Over the next 10 years, HDF will expand training support to include the broader veteran community as well as underserved high schools across the United States, the company said. “It’s important that we support the trades,” Home Depot CEO Craig Menear said in an interview posted on USA Today. “Not only do we sell product to professionals like plumbers and electricians,” but the company also partners with service providers that install kitchen flooring, hot water heaters and other equipment in consumers’ homes." Since 2011, HDF also noted it has invested nearly a $250 million in veteran-related causes and improved more than 37,000 veteran homes and facilities.